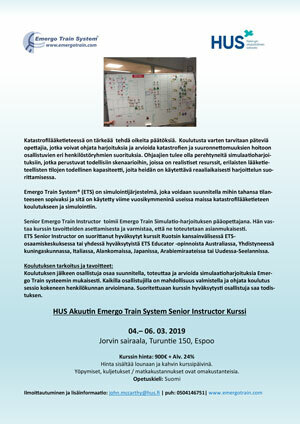 The ETS faculty in Finland started in October 2018. During 2019, the faculty will conduct two ETS Senior instructor courses. The courses is held in Finnish. Click on the flyers below and the flyer will open as a pdf (in new window).